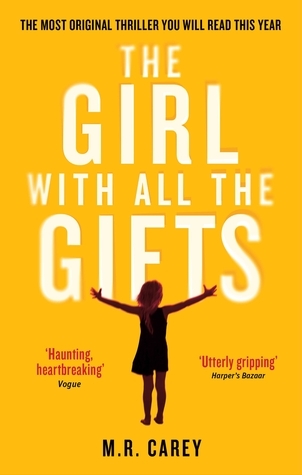 On Being “Team Human” – The Girl with All the Gifts by M.R. 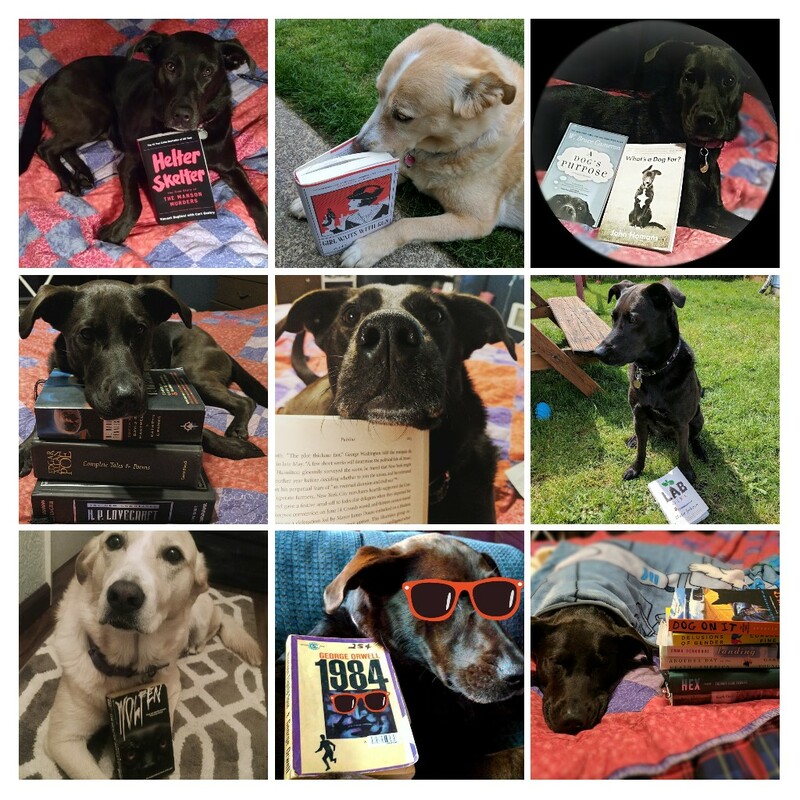 Carey – Warp and Woof! You can’t save people from the world. There’s nowhere else to take them. The sympathetic zombie is a rare, yet well-established pop culture trope. From the forlorn “domesticated” Bub in George Romero’s Day of the Dead to the tongue-in-cheek living dead modern comedies like iZombie and Santa Clarita Diet, the sentient zombie is an exercise in contradictions. Intelligent people don’t desire human flesh; zombies are meant to represent the dead-minded mob, the consumerist masses, the brainwashed masses. They’re humans without humanity. Our reptile brains run amok. The metaphor of the zombie asks the fundamental question: What does it mean to be human? The answers vary, from our ability to control our desires, show empathy, “love,” and probably NOT want to eat human flesh. The existence of the sentient zombie asks a similar question, but the answer is fraught with dissonance. What happens when you have the intelligence of a human packaged in with the ultimate taboo of cannibalism? Most of the zombies in The Girl with all the Gifts are your prototypical, braindead, flesh-hungry monsters. They’re called “hungries,” based on their dominant drive, which should be obvious. Their dish of choice, of course, is human flesh. But there’s a select group of hungries, all children, who are also capable of all those human qualities like learning and language. They are more terrifying than the regular hungries, because they can think and plan and work as a community. They look like children, not monsters. The star of this select group of smart hungries is Melanie, a little girl who is precocious and imaginative and full of questions. She is the star of the novel, the protagonist who guides us through this post-apocalyptic nightmare of abandoned cities and roaming herds of flesh-hungry monsters. I was lucky to discuss this book in book club, and the best question came up: Are you Team Hungry or Team Human? A lively debate followed, and I reflected on the question long after the meeting ended. Team Hungry or Team Human? A more precise question might be this: Are you Team Human or Team Melanie? As the reader, we are invited to view the disaster from her perspective. We’re set up to sympathize with Melanie, a human monster feared and despised by almost everyone around her. Her nemesis is Dr. Caldwell, a scientist whose ambition to save the world doesn’t exactly inspire the warm and fuzzies. Her willingness to slice open Melanie’s skull in service of humanity ironically renders her inhumane. The novel draws battle lines with the reader firmly situated on Melanie’s side, the characters trapped in their assigned roles: Heartless scientist, empathetic teacher, realistic soldier, and the tragic monster. Melanie’s responsibility is great, and her loneliness, like Frankenstein’s monster, is unbearable. So what do you do? Choose Melanie, as Ms. Justineau, the kind-hearted teacher does, and the human race as we know it faces extinction. Although Ms. Justineau might not have predicted such a bleak end, in essence she takes Melanie’s place as the lonely, if less hungry, Other. Choose humans and choose Caldwell’s brand of impersonal experimentation. Condone the sacrifice of the few to save the many. It sounds easy but there’s an aspect of human psychology that prevents us from seeing the big picture, to stomach the means to a noble end when those means are unsavory. It’s both a weakness and a strength that allows us to inflict both kindness and cruelty. There’s a difference between fighting for your family and friends and ruminating on the worth of the human species in the abstract. Hypothetically, it’s easy to say “screw it, we had our chance” but the world and our choices are so much more complicated than the novel implies. The survival of humanity is not an either/or proposition. It’s not about choosing one over the other, but figuring out how we’re going to live together without destroying our planet. If we keep leaving it up to the next generation, maybe we deserve to turn into fungus. Ashes to ashes, dust to mushroom. If the Sentient Hungries indeed took over the world, what would they eat? I suggested at book club that they could probably learn agriculture and farm animals for their sustenance. It didn’t occur to me until later that one of those animals they might start farming might be humans. Evolution and progress are not always synonymous. What’s best for our genes might not be the most “humanitarian” option. They’re just trying to build a better machine.